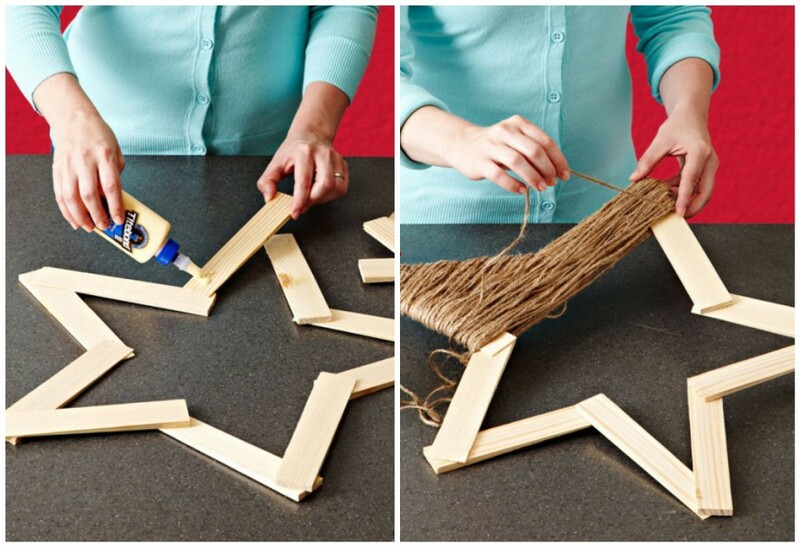 Seeing as we are rapidly approaching the Christmas Holidays, you may be looking for some do-it-yourself decorations. 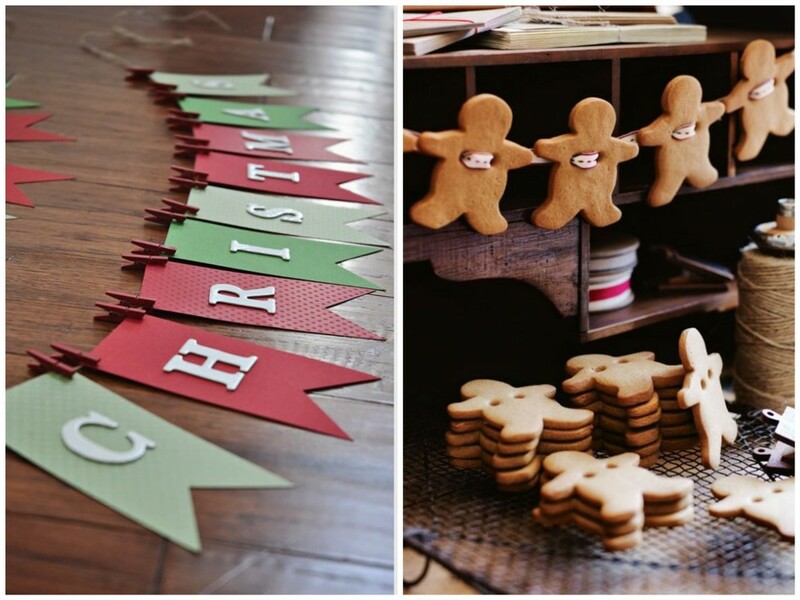 It may be that you are in a crafty mood, or simply looking to pay less for decorations this year. The good news is that you will most surely find some great ideas in this article. 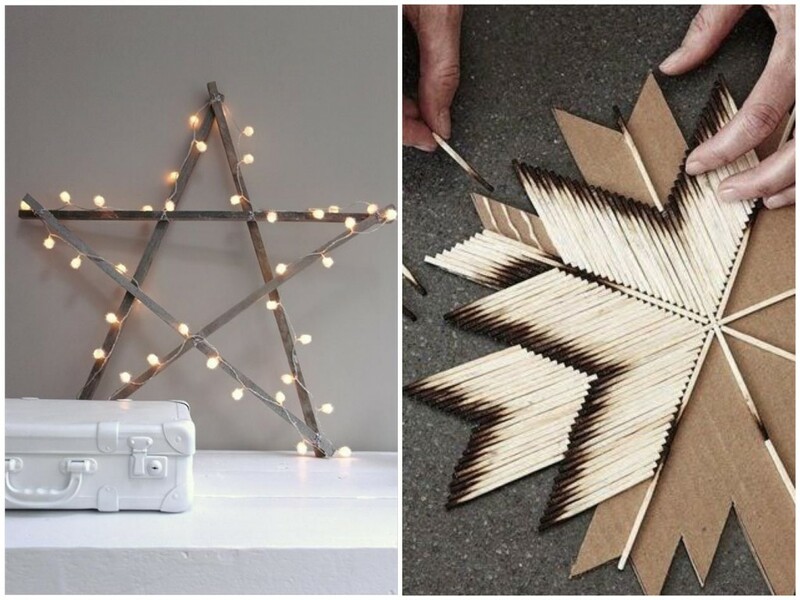 51 different and trendy DIY christmas decoration ideas to inspire your home decoration this year! 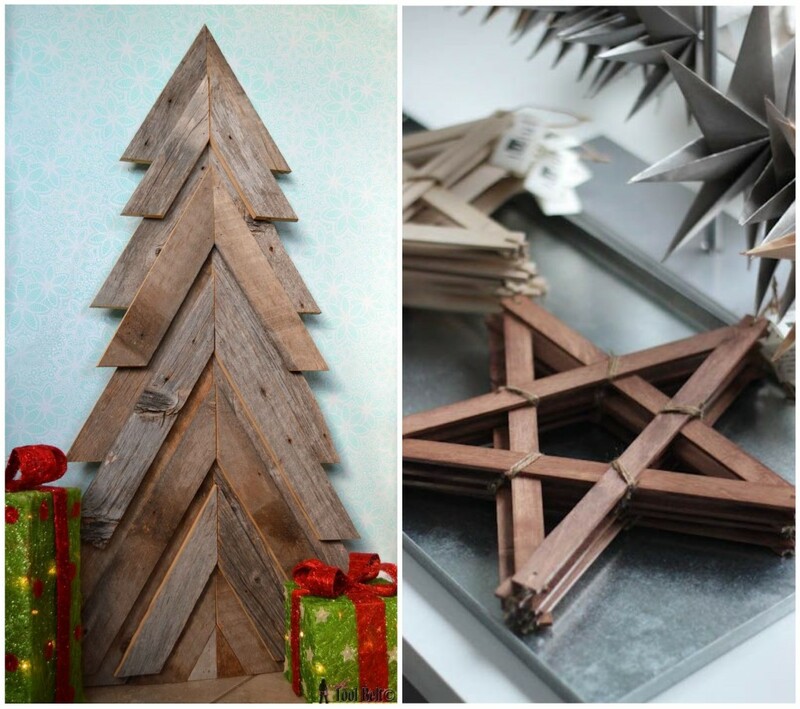 You will find that materials such as wood (branches, logs, and panels), burlap, linen, pinecones add lots of charm, elegance and color to your Christmas project! 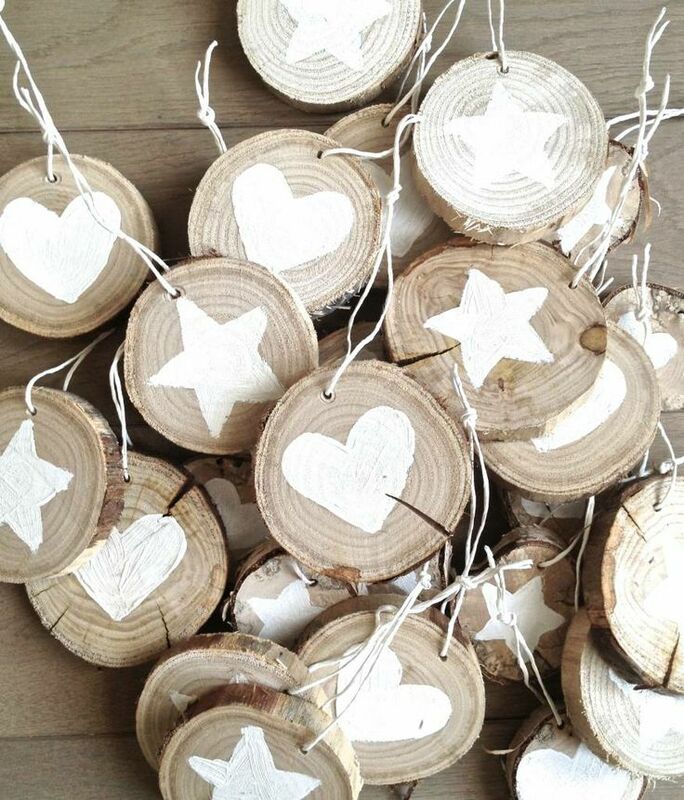 DYI Christmas tree decorations are usually fun to do and are economical. 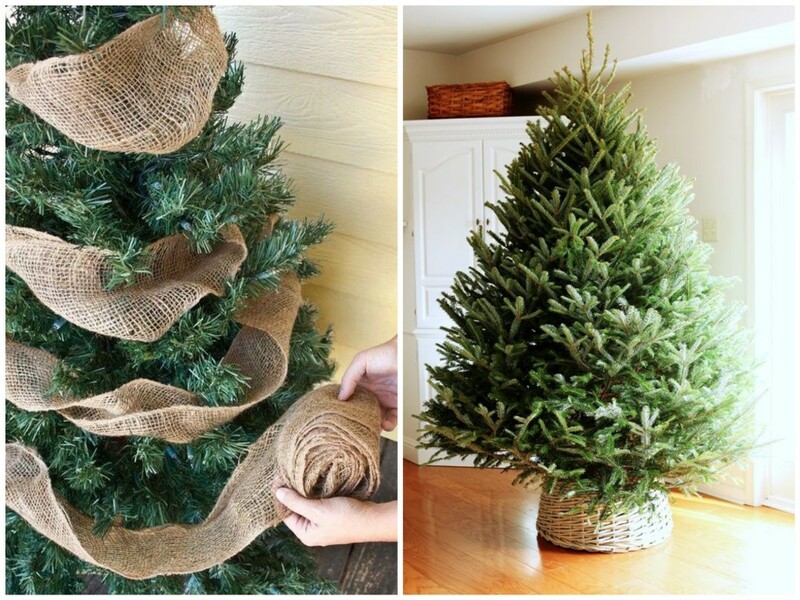 You will find a variety of natural decorations you can do that mix in well with the Christmas spirit. 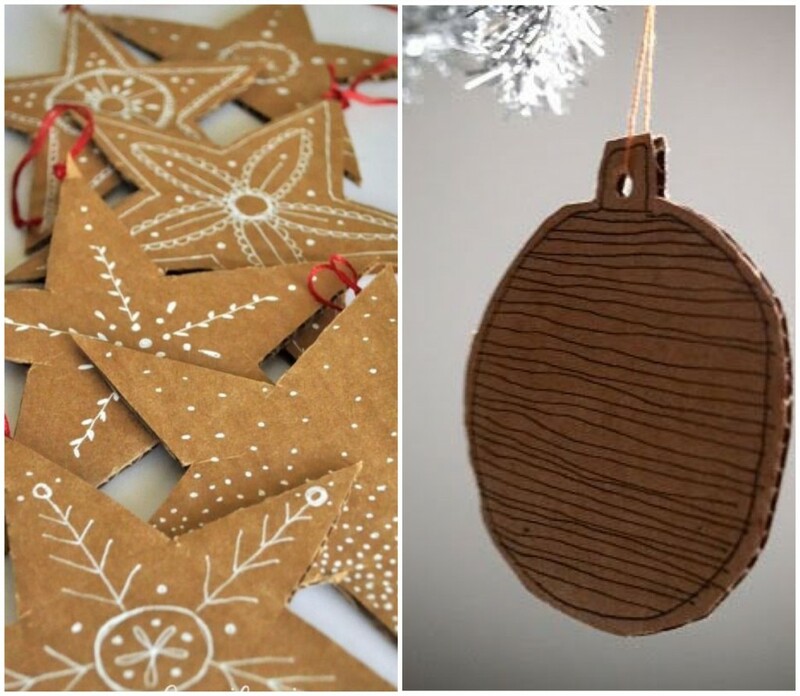 Here are 11 wonderful and easy to do project ideas that you can easily do yourself and that will bring a sense of uniqueness to your tree this year. Always in style and lovely, ornaments wrapped in different types of string or fine rope give a warm and good old fashion feel to your tree decorations. A little recycled cardboard goes a long way as well! For these cute ornaments, you will need hardening dough or paste (1½ cups of cornstarch, 1 cup of baking soda and ¾ cups of water. 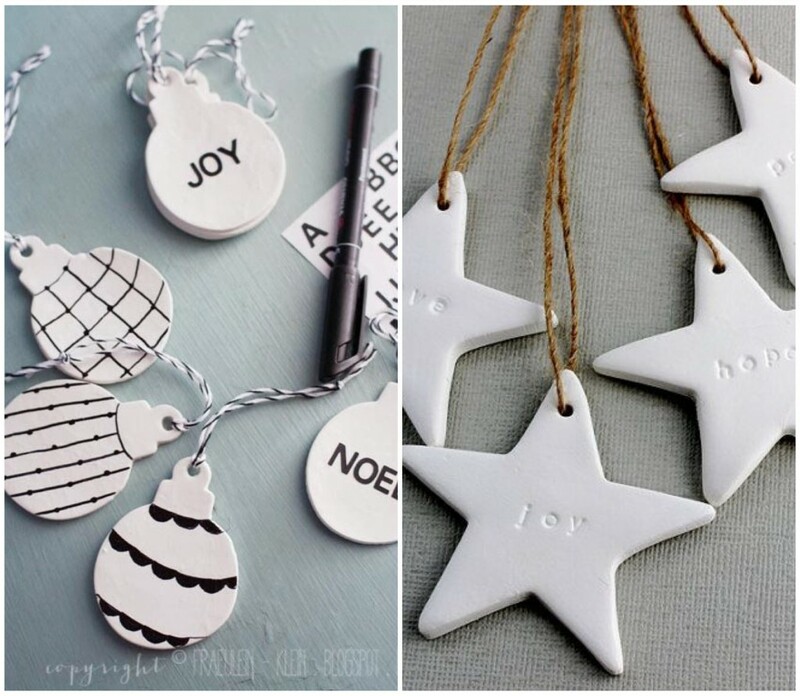 (see other instructions here) You can even use some of your Christmas cookie cutters to use as molds for your ornaments. Just remember to punch in your hole for the string before it dries! 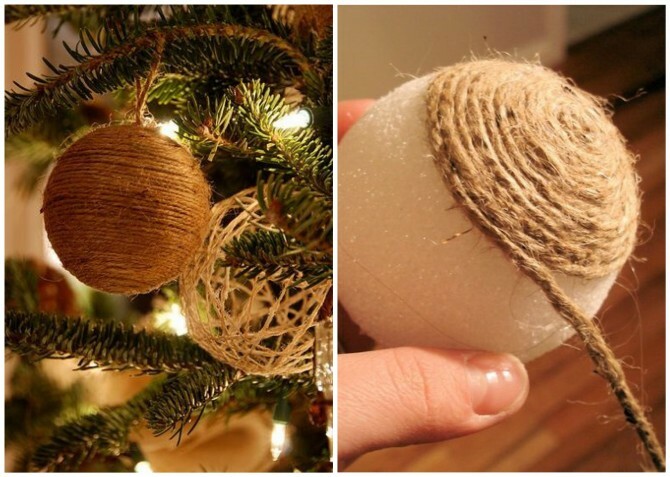 A few pieces of burlap, styrofoam balls, string will give great results as well. 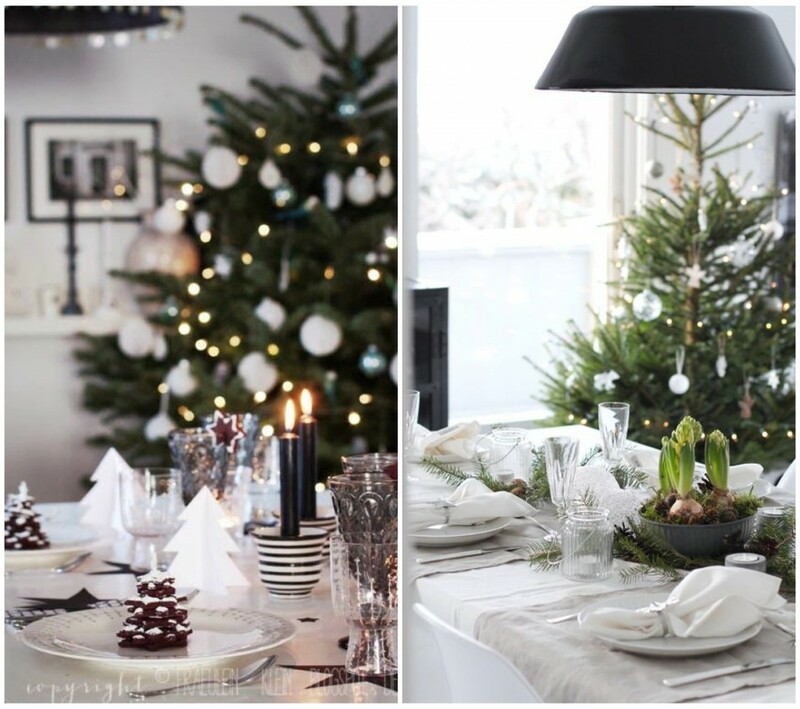 If it’s your turn to host this year’s Christmas dinner, and if you like to plan, organize and decorate according to theme, here are some original ideas you may like in order to create a warm and cozy feeling for your guests at Christmas. 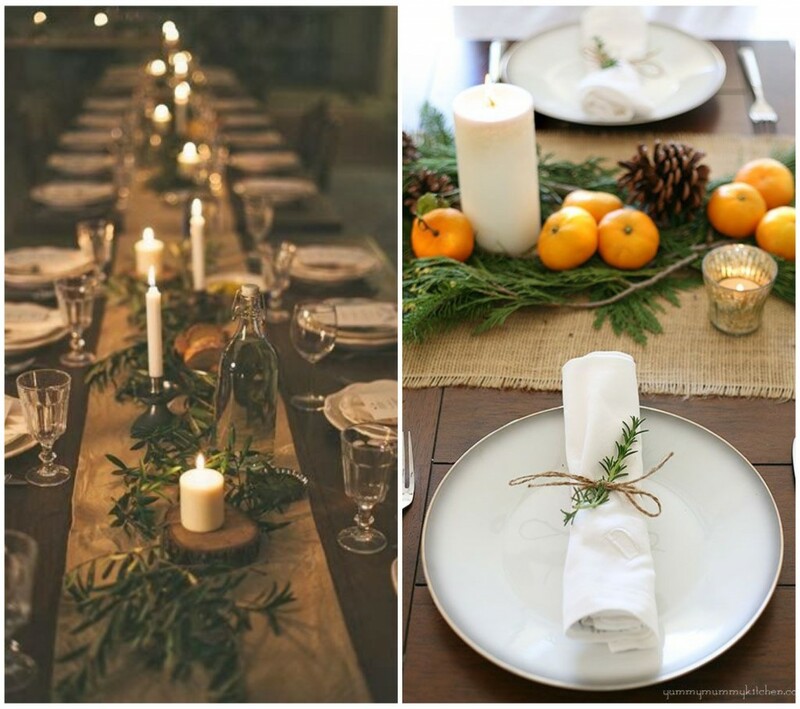 These festive ideas will add a unique touch and will help bring success to your meal. 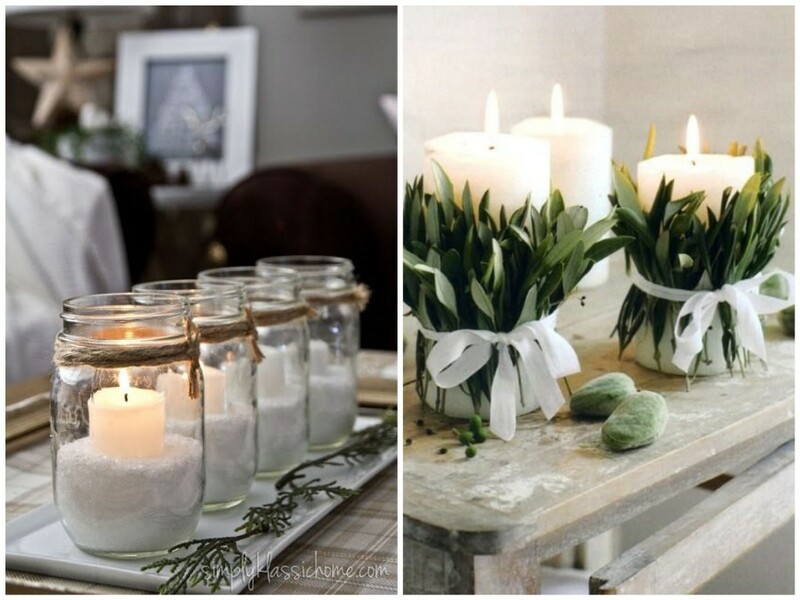 Without spending too much, you can choose a few candles; add a few of nature’s treasures and other accessories to create a beautiful table! 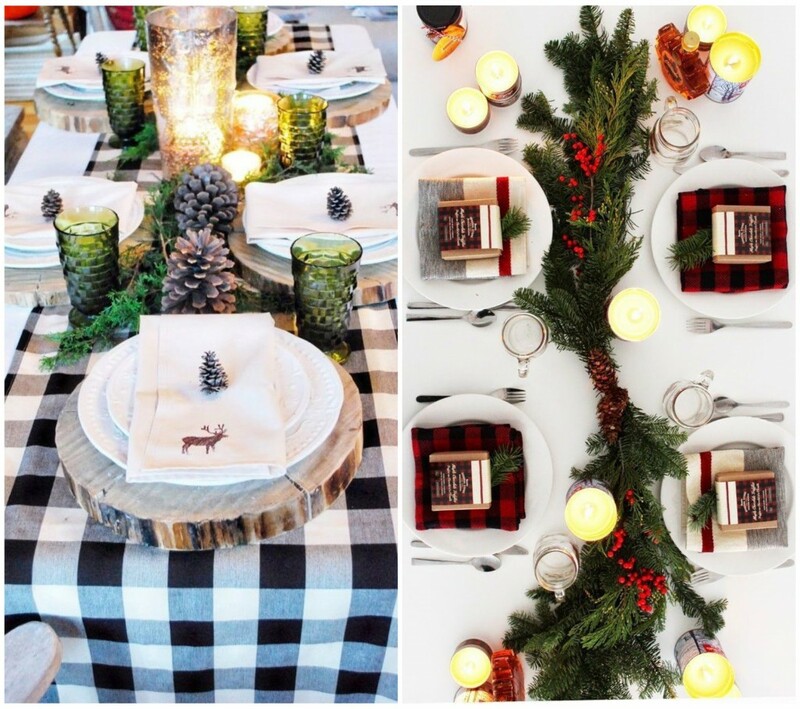 You can even give your table a sugar shack kind of feel! 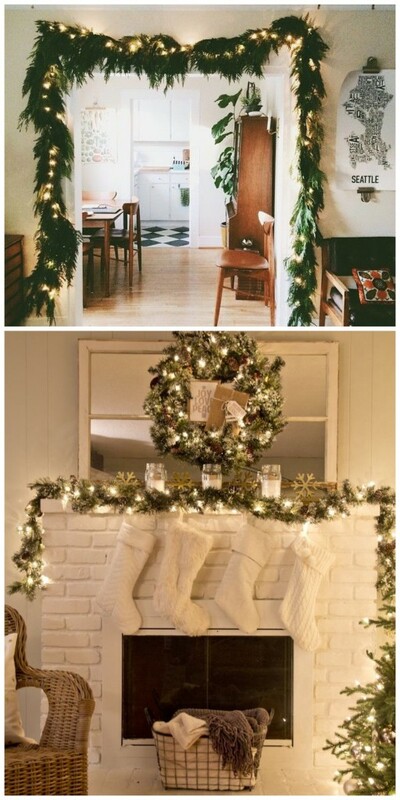 Give yourself a sense of pride by doing some of your own home Christmas decorations without spending a fortune. 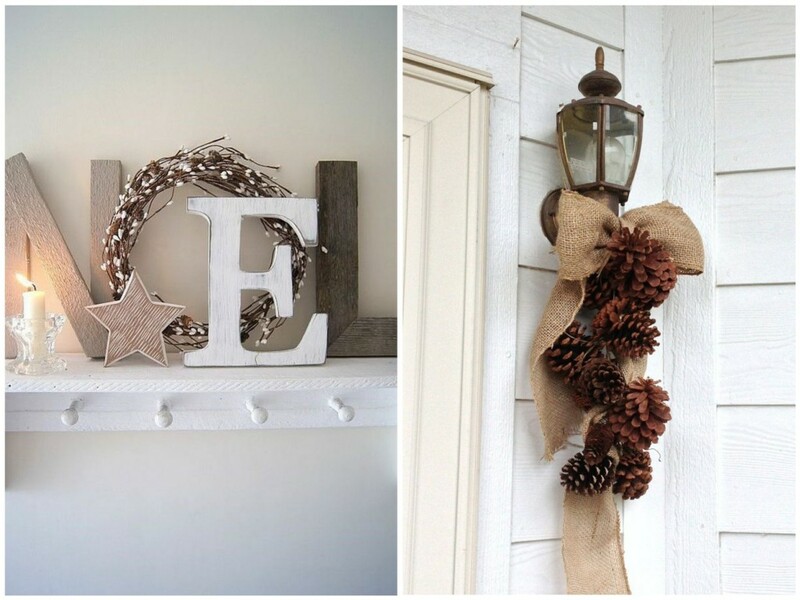 If you enjoy a more rustic style, you can easily do some of these decorations with only a few easy to find tools. 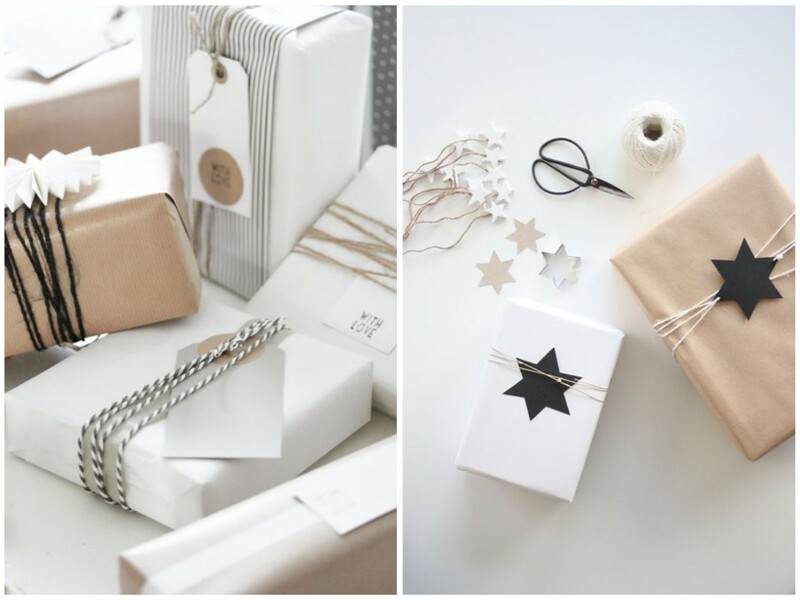 Christmas is not only a time for sharing, but also a time to get creative! 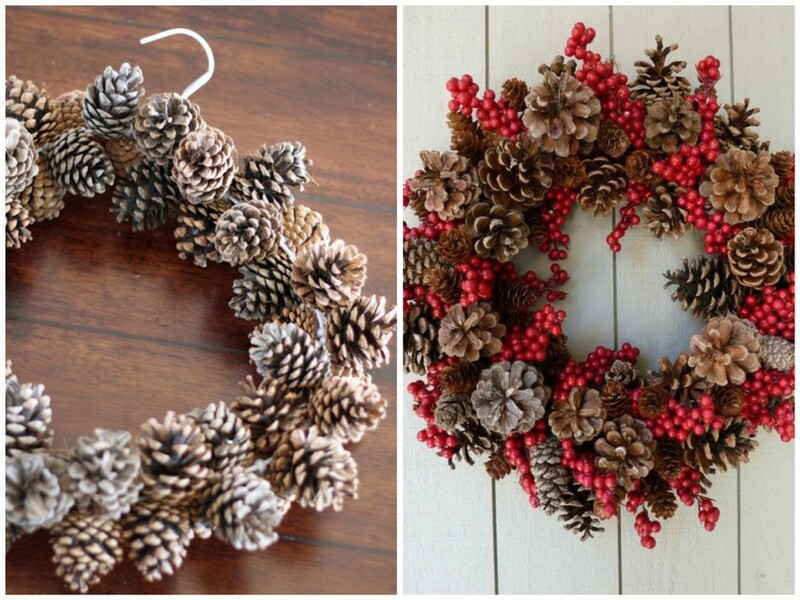 Use what you have lying around like some pieces of wood and pinecones and you will create beautiful decorations. 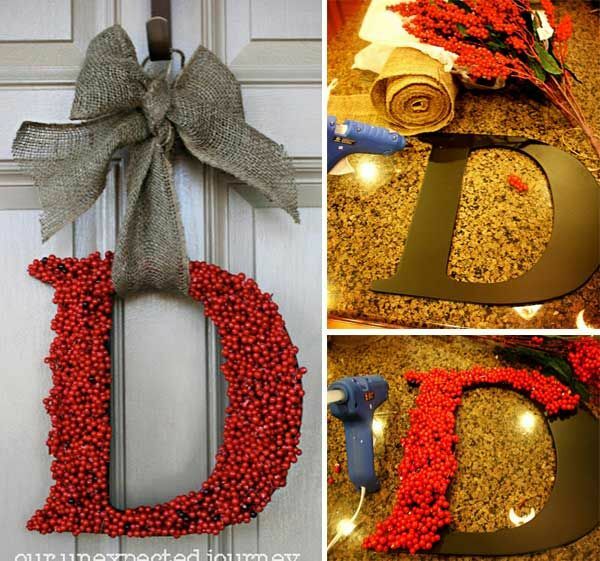 Be original and use the first letter of your family name to put on your front door. 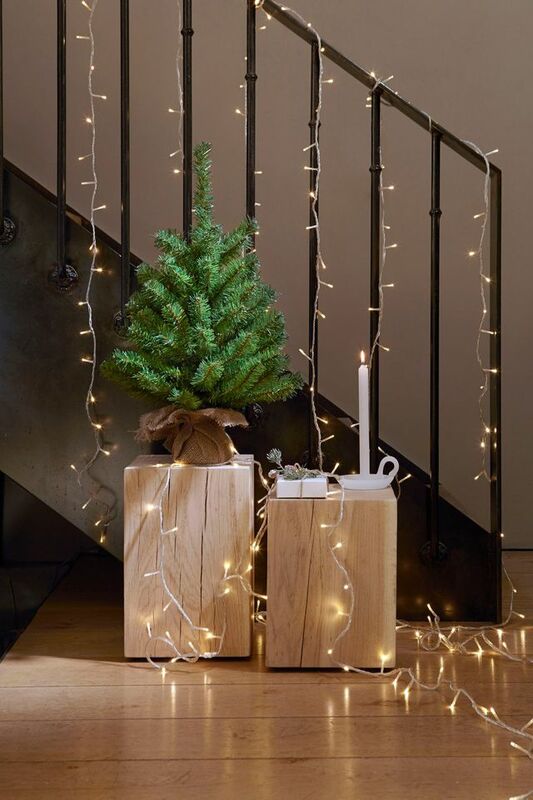 Christmas tree lights are beautiful in trees but can also be a nice addition in other areas in your home. You can choose to spray paint the electrical extensions with your favorite color and you can even go with some metallic colors to bring a little glitter. 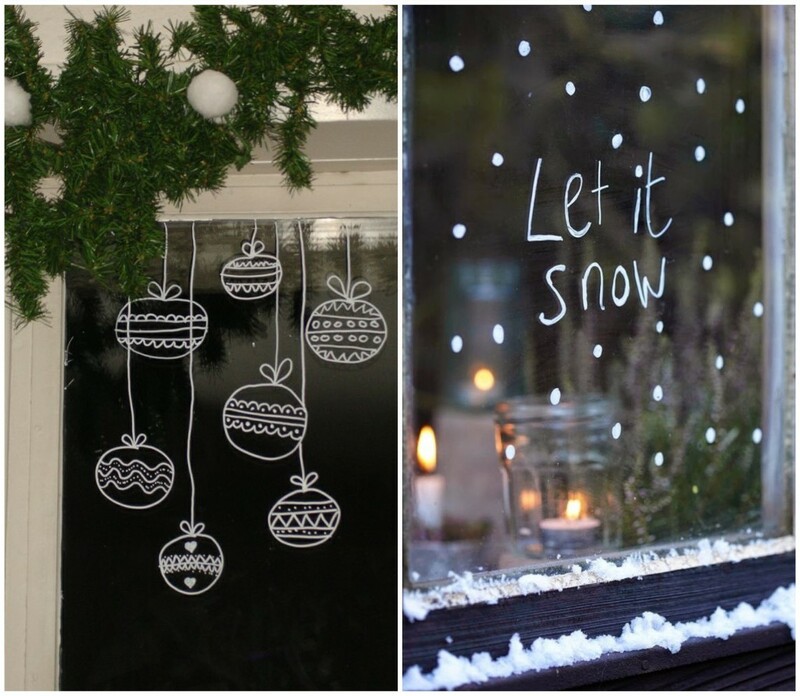 Some of these ideas are good all year round too! 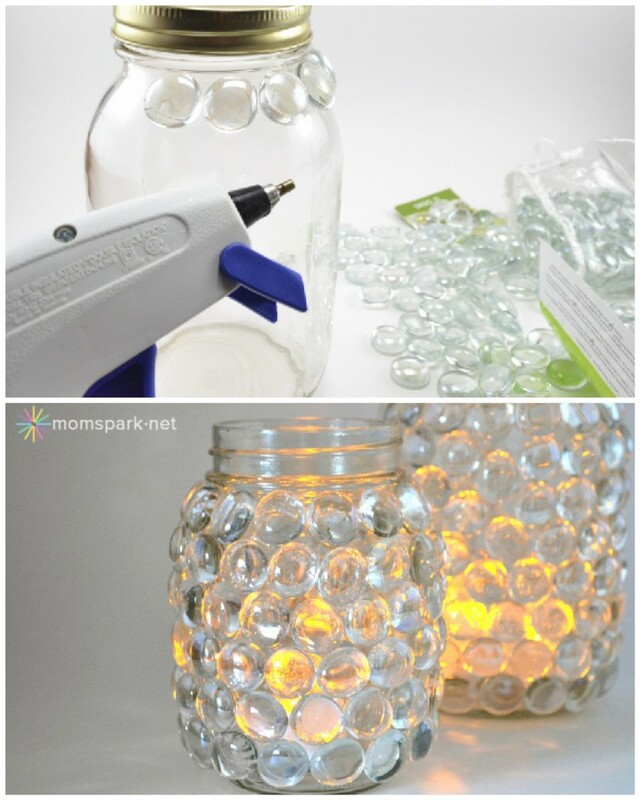 DIY christmas decoration : Decorate with candles and lights! It’s no secret that light of any kind bring out natural warmth. They will also complement your existing decorations as well. Don’t be afraid to overdo it especially during the Holidays season. There are never too many lights and sparkles, and do not hesitate to have variety in size and shape for your candles! 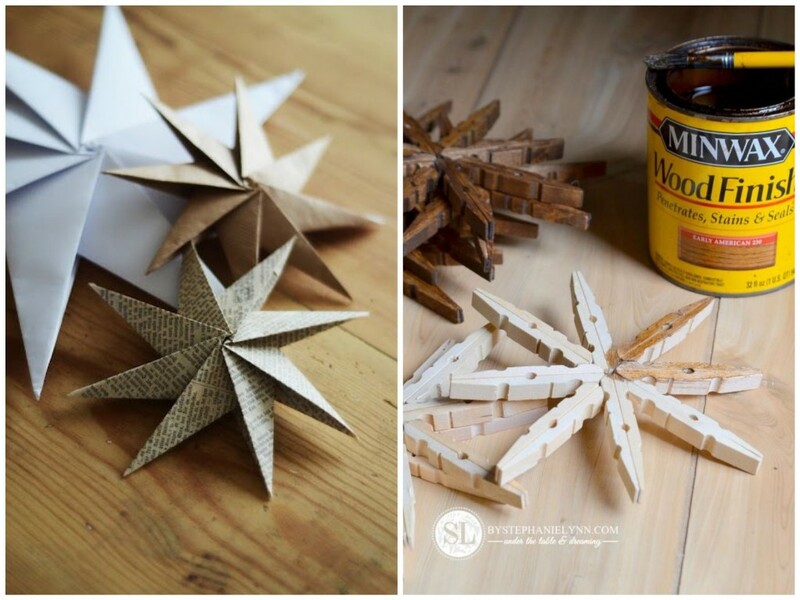 Here are some interesting DIY christmas decoration ideas to decorate your Christmas tree and turn it into something simple, yet beautiful. If your household is anything like mine, the man of the house’s favorite job is to cut the branches! (and if you ask me, he often cuts too many off). 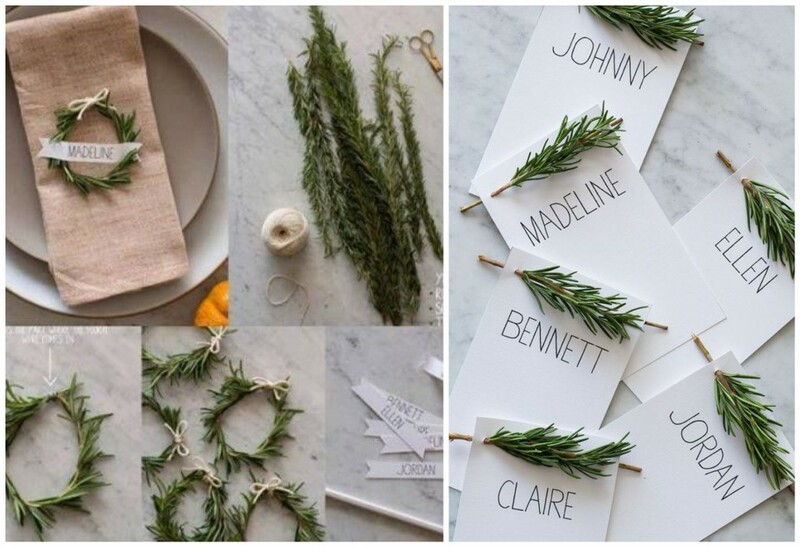 However, you can use the cut branches to create a Christmas wreath which will also add a nice scent to your entire home. 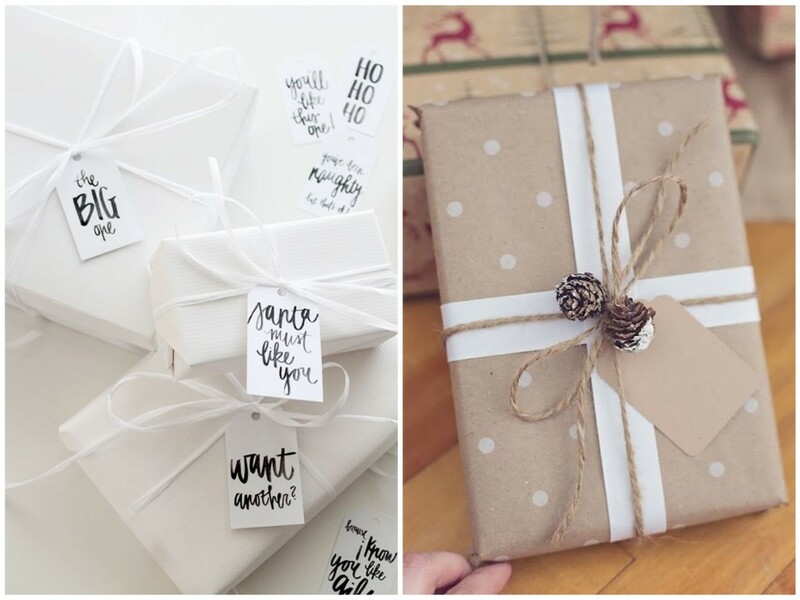 Receiving and giving gifts is wonderful. 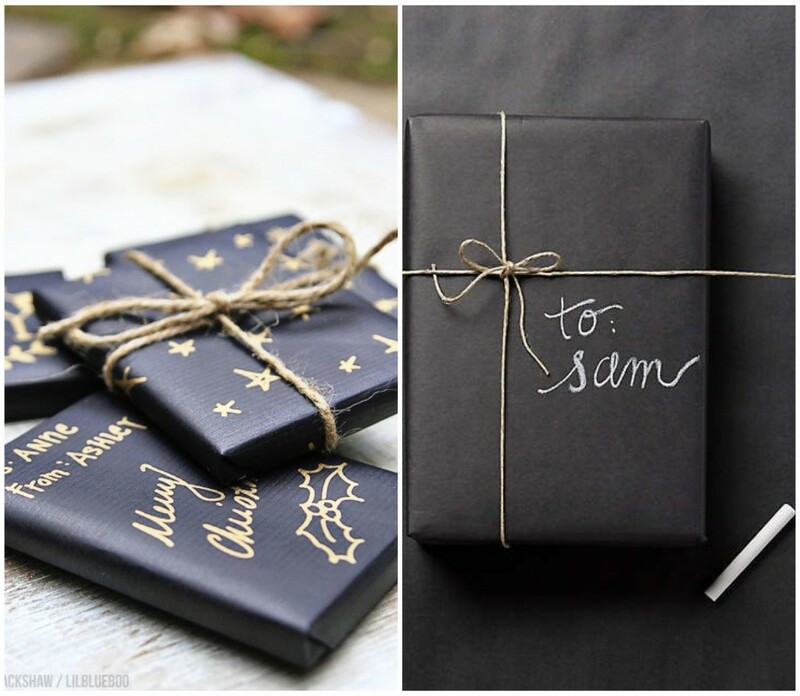 Having them uniquely wrapped is even better! 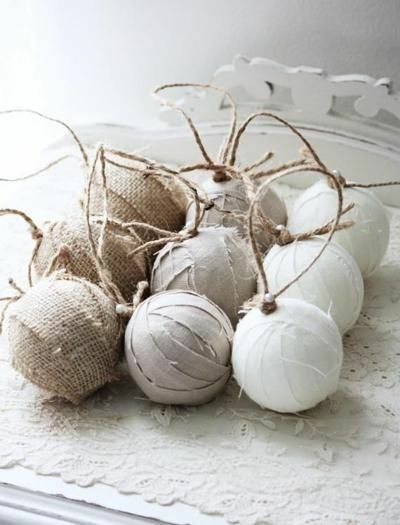 This year’s trend is to use more sober colors with perhaps a little burlap, linen or hemp string, and the rest with a touch of what you have lying around the house to add as a finishing touch. 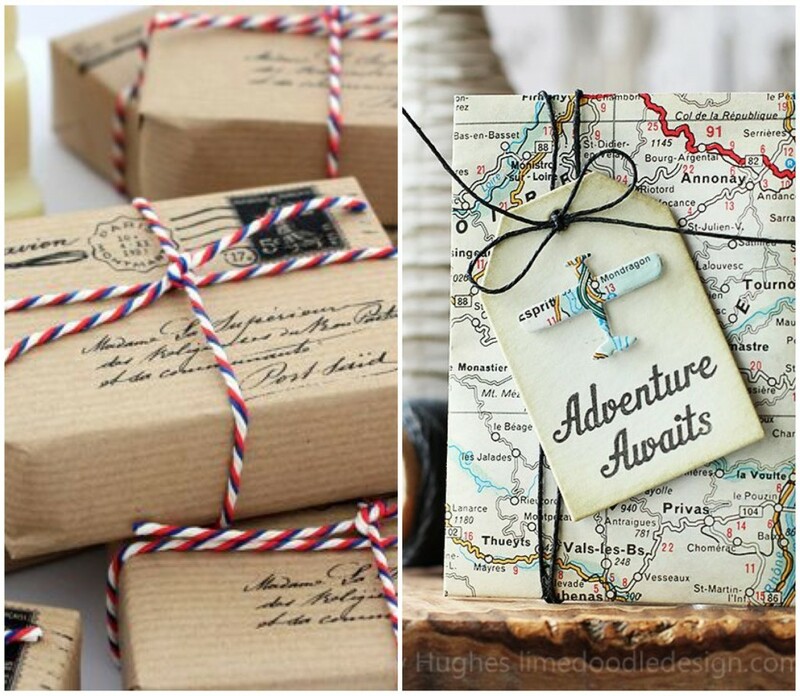 If you are planning a trip or have someone who is, here are a few original ideas you may like to use. 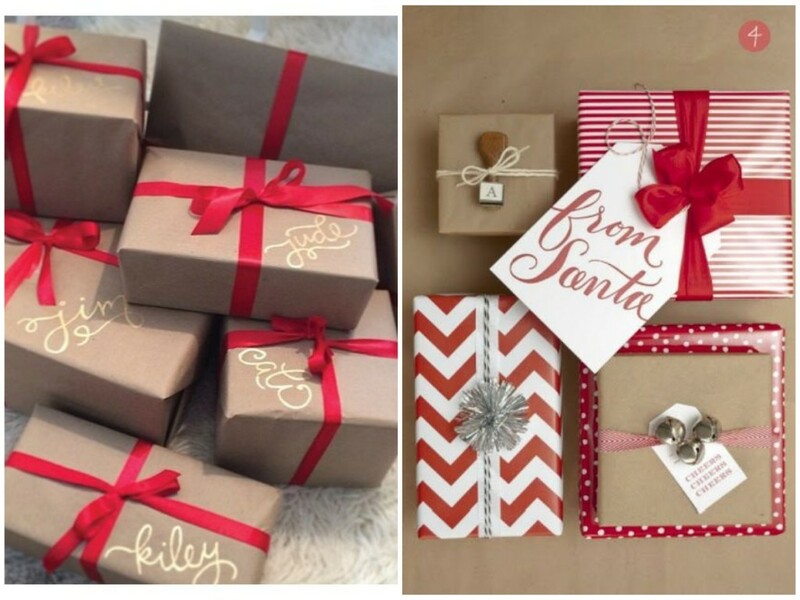 Original ideas for red gift warp paper !